We want to make sure we keep our planet healthy and green. 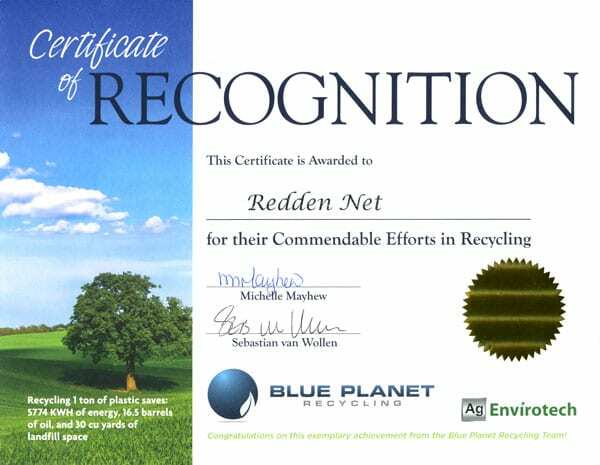 We’re proud to announce our newest waste reduction certificate from Blue Planet Recycling. Thanks to the support of our customers and staff, we’ve managed to make great strides in keeping our processes green and minimizing waste products. Blue Planet Recycling recognition award. Blue Planet Recycling is committed to making our customers successful by solving problems and adding value to your bottom line. Our superior quality and service combined with our industry knowledge allow us to design, implement and execute service plans that make our customers successful. We have extensive knowledge and experience in recycling using best practices, technology, equipment and markets. We are experts in what we do, so you can focus on your core business.